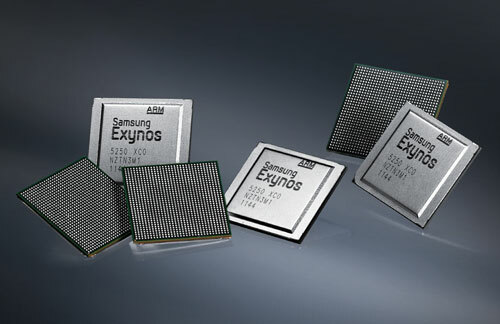 News is coming in that Samsung has confirmed that it will mass producing its Exynos 5250 chipset from second quarter of this year. The SoC has a dual-core processor which clocks at 2GHz packing in two Cortex-A15 chips. The chip also supports WQXGA (2560×1600) display resolution and is said to offer four times better graphics as compared to a Cortex-A9 SoC. The news was confirmed by Samsung itself during today’s earnings call and Samsung said that they are currently testing it, and should begin mass production soon. The executives at Samsung also confirmed and said that the chip will be initially integrated into tablets and will reach smartphones at a later period. Then what about quad-cores that are already running tablets like the Asus Transformer Prime? I think Samsung should integrate this SoC into their own line smartphones first, and then start offering the SoC to other manufacturers.